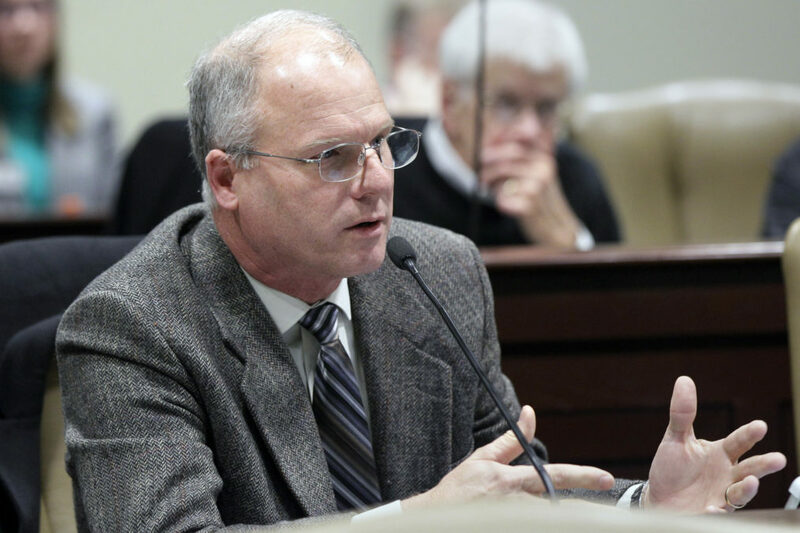 Now the plastics company, owned by Arkansas State Senate Majority Leader Jim Hendren, is suing Steadman for defamation. The lawsuits come after an investigation by Reveal from The Center for Investigative Reporting found that men and women at drug rehabilitation centers are being sent to work at private companies for free under the threat of prison. Former participants are currently suing the Drug and Alcohol Recovery Program and Hendren Plastics in two separate class-action lawsuits. In addition to Steadman’s suit, the American Civil Liberties Union of Oklahoma alleges human trafficking and violations of federal and state labor laws. Hendren Plastics’ defamation suit against Steadman says that allegations of slavery will negatively affect the company’s reputation and business. Hendren says it paid the rehab $9.25 an hour for each worker, as much as it paid its own entry-level employees, according to the suit. Hendren said this week that his company would stop using the rehab center, known as DARP. At DARP, defendants worked for free under threat of prison. If they got hurt on the job, workers said they often were kicked out and sent to prison. Hendren has widely touted his role as a business owner and job creator in his political campaigns. Participants told Reveal that about 20 workers from DARP worked at Hendren’s company at any given time. In 2011, the company employed about 50 workers, according to a news report. Hendren Plastics is being represented by Hendren’s cousin Tim Hutchinson, a former state representative. Gov. Asa Hutchinson is their uncle. Amy Julia Harris can be reached at aharris@revealnews.org, and Shoshana Walter can be reached at swalter@revealnews.org. Follow them on Twitter: @amyjharris and @shoeshine. At DARP, defendants worked for free under threat of prison. If they got hurt on the job, workers said they often were kicked out and sent to prison.Hendren has widely touted his role as a business owner and job creator in his political campaigns. Participants told Reveal that about 20 workers from DARP worked at Hendren’s company at any given time. In 2011, the company employed about 50 workers, according to a news report.